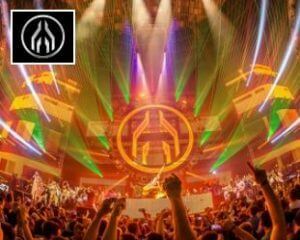 MAYDAY Dortmund is an electronic music institution, and one of the most renowned parties in world. MAYDAY Dortmund is an electronic music institution, and one of the most renowned parties in world. Every year for the last quarter of a century, Dortmund’s vast Westfalenhallen has played host to the mammoth rave. Spanning the electronic music spectrum, the packed line-up ranges from the techno of the festival’s roots to bombastic hard style, house, electro and trance. German rave icons Sven Väth, Len Faki and Chris Liebing are regulars at the all-night party, making up just a small part of the expansive line-up of electronic music stars. Now almost as famous for the captivating visuals and lighting as for the music, the festival’s dedication to providing an immersive experience goes some way to explaining its enduring legacy.